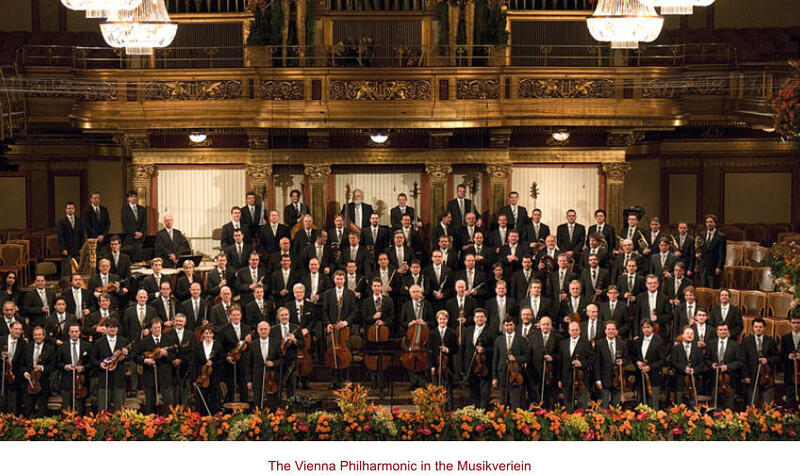 The Vienna Philharmonic Orchestra has attracted many myths, one of the most enduring of which holds that its members must all be Viennese-born. Walter Auer, the youngest of the orchestra’s three principal flute players, is proof that this myth is untrue: he was born in Villach in southern Austria, near the borders with Slovenia and Italy. 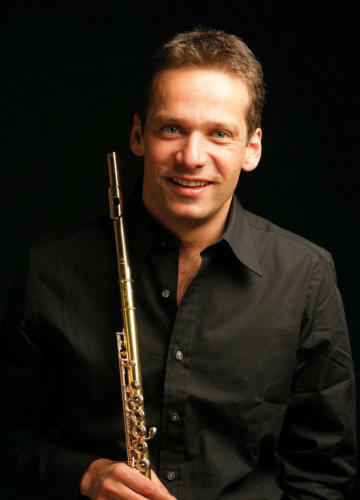 ‘Many players in the Vienna Philharmonic at least studied in Vienna,’ says Auer, ‘but the orchestra is truly international, with members from all over the world.’ Auer is the first principal flute player in the orchestra to have been appointed after an open international audition rather than moving up the ranks as did his principal flute colleagues Wolfgang Schulz and Dieter Flury. Walter Auer is in fact a true outsider in the orchestra, having not even studied in Vienna; he went first to the Mozarteum in Salzburg and then spent two years from 1996 as a student at the Karajan Academy of the Berlin Philharmonic, where his teachers were Andreas Blau and Emmanuel Pahud. Auer describes this as very important to his development; he played in the Berlin Philharmonic Orchestra in rehearsals and concerts, at the very highest possible level. The conductor at the time was Claudio Abbado, who had also conducted the Mahler Youth Orchestra when Auer was a member in 1995. Auer played some of his most exciting and memorable concerts with Abbado, including performances of Mahler’s second and third symphonies. He also attended masterclasses with Aurèle Nicolet—intimate, inspirational sessions with a small number of brilliant fellow students including Davide Formisano, now principal flute at La Scala, Milan, and Kersten McCall, who now shares the principal flute position in the Royal Concertgebouw Orchestra with Emily Beynon. After leaving the Karajan Academy, Auer auditioned for and won half a dozen positions in different orchestras before winning his position in Vienna. ‘It was not easy after two years working with the Berlin Philharmonic to play in lesser orchestras. I had a tough time trying to find the right way to handle the situation.’ His final position before Vienna, three years in the NDR Radio Philharmonic Orchestra in Hannover, was in a very good wind section in a small, flexible radio orchestra. Auer describes the step up to the Vienna orchestra as ‘cinemascope’ by comparison. ‘Of course, I had experience of the Berlin Philharmonic to help to know how it is to play in this type of orchestra, but there I was a student and now I am in a principal position, so it’s really different.’ Walter Auer joined the Vienna Philharmonic in 2003 following the retirement of Meinhart Niedermayr, who had been principal flute for forty years. It is a measure of the tradition of the orchestra that Meinhart Niedermayr had succeeded his father, Josef, who had played in the orchestra since the early 1920s. The Vienna Philharmonic has had a number of children and grandchildren of former members playing in the orchestra. ‘This is very interesting, and very rare in other orchestras,’ says Auer. Has tradition influenced the sound of the orchestra or the performance style? There may be members of the orchestra whose grandfathers or great-grandfathers played for Mahler or even Brahms. ‘I would love to have heard the orchestra in the time of Brahms,’ says Auer, but older members tell him the orchestra is now better than ever before, with great young players who have almost no weak points. More important than the tradition, says Auer, is the influence of the conductor. ‘The orchestra sounds quite different under Muti, Harnoncourt, Thielemann or Barenboim. We adapt immediately to different conductors.’ The Vienna Philharmonic uses some unique instruments. Vienna oboes and Vienna horns are very obviously unlike those played in other places, and even the clarinets and bassoons are different. How different is it for a flute player to play with a Vienna oboe? ‘It’s completely different,’ says Auer. ‘The overtones are not the same, and you have to play differently to find a common sound, like a single player.’ Oboes have been a topic of some discussion because the Vienna oboe is only taught in Vienna, which is not a big place, and the orchestra does not operate in a global market for oboe players. Vienna oboes are completely different from the more international French-style oboes, and oboists can play one or the other. ‘We discussed it, but we are happy with our players and they play at a very high standard,’ says Auer. And what of the Vienna horn? Surely a horn is a horn and French horn player can learn to play a Vienna horn? ‘No,’ says Auer. ‘The important part is the way the player imagines the sound, which is different in Vienna. The Vienna Philharmonic’s sound is very special.’ The Vienna Philharmonic’s players are all employees of the Vienna State Opera, whose music director is Franz Welser-Möst. The Vienna Philharmonic is a private society made up of members of the Vienna State Opera orchestra. Players need to have been in the opera orchestra for three years before they can apply to join the Vienna Philharmonic, which is a completely democratic organisation: most significantly it has no chief conductor and no management, and all decisions about programmes, artistic matters, concerts and choices of conductors are made by the players themselves. ‘All players on stage know they are not employees—it’s their own orchestra,’ says Auer, ‘and it has always been like this.’ Auer is clear that the players use a similar style in both the opera and the Philharmonic Orchestra. ‘There’s a different attitude, but not a different style,’ he says. ‘The opera house is our home base, and we work with what I say are the best singers in the world. In the opera house the orchestra is positioned very high and we are very close to the singers, so we have direct contact with them. For example, when I play the flute solos in Lucia di Lammermoor we don’t even really need a conductor because I have such a direct connection with the singer.’ The question of which is the best orchestra in the world is one that comes up often. ‘It’s a silly question, really,’ says Auer. ‘We are an opera orchestra, and for an opera orchestra we are not the worst symphony orchestra!’ The experience of playing in the opera is very important for the art or the style of playing of the Vienna Philharmonic. ‘It’s very flexible—a big orchestra, but in fact a very big chamber music group.’ When asked how he would describe the sound of the Vienna Philharmonic, Auer pauses. ‘It’s very difficult to find the right words, but I will try. If you want to hear the Vienna Philharmonic for real, you have to come to our own concert hall, in the Musikverein or in the Vienna State Opera, to hear why it’s so special. In the same way, you have to go to Berlin to hear the Berlin Philharmonic at its best in its own hall, to know why they sound the way they sound. In my view the musical space, the acoustics of the concert hall, is really a very important part of the orchestra’s sound and of the style and the playing of an orchestra. It is a great opportunity I have to play in such a wonderful concert hall. Zubin Mehta said when the Israel Philharmonic is on tour, every concert hall is better than the concert hall at home, but when Vienna Philharmonic is on tour, no concert hall is as good as the Vienna Musikverein. We know it’s not really like this, but it’s a little bit true to have this very special acoustical space, especially in the opera house.’ This article first appeared in the programme booklet for the Arcomis Flute Event in Cardiff, 1–3 April 2011.